Creative has today signalled a fresh assault on the MP3 player market in the UK by aggressively discounting its range of flash-based MP3 players. Creative says the new prices make its MP3 players the most competitively priced, feature rich, value for money players in the market. "Our new pricing strategy demonstrates our clear commitment to the consumer" said John Moseley, UK marketing manager at Singapore-based Creative Labs. "We will continue to offer consumers a wide range of competitively priced products, with pioneering functionality as well as ease of use and value for money." 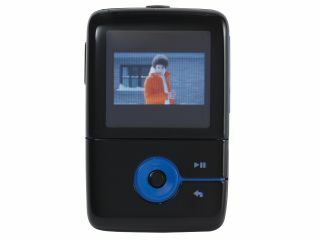 You can now buy the highly-rated 4GB Zen V Plus player for an RRP of £110, compared to the £129 4GB iPod equivalent. And of course, this also means you're likely to get the players even cheaper through online stores like Amazon , which keep margins low to shift more units.